The road to health benefits for adjuncts at Austin Community College (ACC) has been long and arduous. Since the college’s inception forty years ago, it has been plagued by its overreliance on contingent faculty. 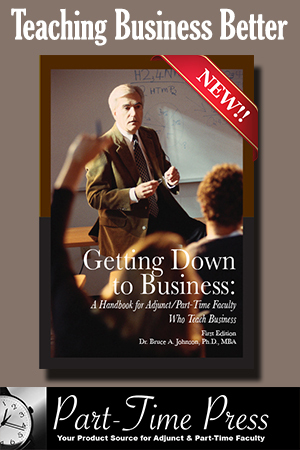 Today, of the nearly 2000 faculty members whoteach at the mega-college that now sprawls across Central Texas with well over 100locations, approximately 70% are adjuncts. In a brazen response to declining enrollment, the college recently opened the doors to three new campuses and purchased a shopping mall for $15.9 million that is conveniently adjacent to the college’s six -story administration building. Although they have made impressive gains in fair pay and shared governance, adjuncts at ACC have made little progress in their quest for health benefits. 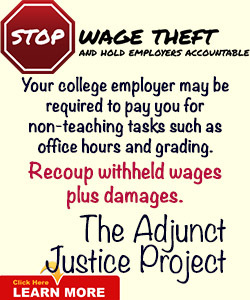 In recent years, the college’s Adjunct Faculty Association (AFA) and members of the ACC-AFT teacher’s union spearheaded state legislation allowing adjuncts to buy the same insurance that full-time employees get for free. Adjuncts who buy in to the plan (about 100) pay about 650 dollars a month for health and dental. Even though the law has a provision wherein the college could help offset the lofty costs, repeated meetings between the AFA andthe administration and fervent appeals to the Board of Trustees have proven to no avail. In mid-November of 2013, the human resources department blind-sided adjunct faculty with a memo in response to the Affordable Care Act (ACA). The memo stated that adjunct faculty would be limited to 28 hours a week beginning in January. Shortly afterwards, administrators met with a group of incensed adjuncts at their fall meeting, spelling out the new rules in a PowerPoint presentation. Using the Texas Retirement System (TRS) formula of 2-to-1, the administration said that adjuncts would be limited toteaching three classes a semester or 18 clock hours. In addition, the TRS formula wouldlimit part-time faculty who work in other areas of the college. In addition to their teachingloads, adjuncts with three classes, who had been clocking up to 19 hours per week inthe Learning Labs, would now be limited to 10 hours, cutting their monthly income bymore than $1,000.With news cameras rolling, part-time faculty vented their frustration as they left the meeting. Worley warned board members that he would do “everything in his power” to defeat theupcoming $500 million bond election in November 2014 if the college persisted inimplementing their proposal to cut adjunct hours to avoid paying for health benefits. In the December 13th issue of The Austin Chronicle, ACC Board of Trustees member Tim Mahoney said that he was stunned when he first learned of the memo, saying, “In order for us to be engaged constructively with this uncertain future, we need to have[an] engaged faculty and staff, from the highest dean to the most important clerk, and Ido not see that memo as an example of that kind of coordination for building a commonfuture.”Local state representatives, led by Rep. Donna Howard (D-Texas), called a meeting todiscuss the ACC administration’s interpretation of the ACA. Congressman Lloyd Doggett, a strong supporter of the ACA and President Obama, also weighed in with hisconcern that ACC administrators were misrepresenting the intent of the health careinitiative. A few days before the winter break, Learning Lab managers (who depend heavily onadjuncts) were pleased to learn that their adjunct tutors would be able to continueworking up to 19 hours a week. However, they were told, this was just a temporary fix.Once the ACA goes into full effect, the rules could change again and those teaching three classes could be limited to tutoring less than 10 hours a week. At the January 21st board meeting, impassioned students stood at the back of the roomfor two hours, holding signs that proclaimed, “We Stand with the Adjuncts.” With security guards on alert, several of these students, taxpayers, and adjuncts went beforethe board and expressed their concern for adjunct professors who do not haveaffordable access to health coverage. He said that he would like to see ACC contribute 50% toward adjunct health insurance. Board member Betty Hwang said that we need to resolve this issue quickly with thebond election looming ahead because ACC cannot afford more bad publicity.Some of the board members echoed the administration, saying the college has not cuthours or coverage (even though there is evidence to prove otherwise), and that ACCneeds to reexamine the policies before making a final decision.Board Chair Jeffrey Richard said that something as important as healthcare can’t behandled with memos and meetings, and that there was a failure in the process. Richard admonished the administration because even though they claim that the memo was not a mandate, it “felt real” to those who read it. Being on the “right side of history” is important, Richard said. However, he queried, what is the college willing to give up?Chagrined, President Rhodes apologized for any misinformation. Meanwhile , ACC adjuncts still don’t have any definitive answers about the college’s willingness to set aside budget dollars for adjunct health benefits. The good news is thatthe administration has tentatively agreed to create 22 more Instructional Associate jobs,which are full-time, benefits-eligible positions for adjuncts that both teach and tutor. 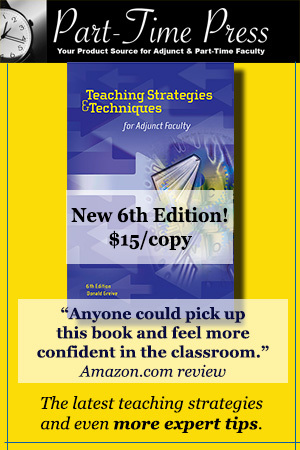 The bad news is that adjuncts don’t know what to expect next.